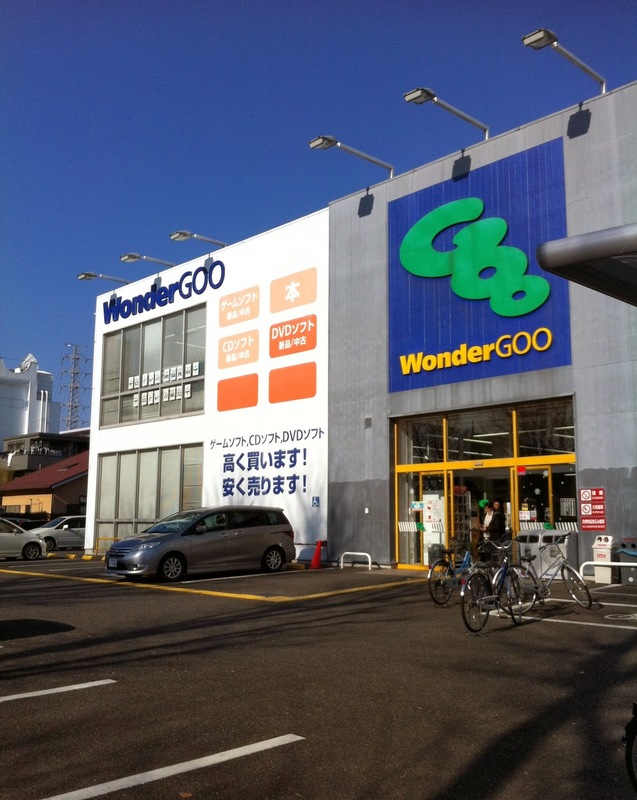 I have a confession to make: I'm in Japan at the moment, and this morning I hopped on a train and went to the Wonder GOO store in Sagamihara to line up for a chance to play Sengoku Basara 4 a few days before it goes on sale. I had deliberately picked a store which was off the beaten path in order to reduce the chance of disappointment, and this paid off - there were only a few people in the queue ahead of me when I arrived, and the lovely man in charge issued me a ticket for the demo without any problems. A small bench was set up in front of one of the shop's regular demo stations, and two Capcom employees hovered nearby to make sure nobody tried anything suspicious. The demo involved playing through the first stage of Sengoku Creation Mode as one of the nine starting characters (it was the final version of the game). You could pick which stage you played from the limited selection available, but every character started off at level one and customisation of your settings wasn't allowed. In addition, only the first two difficulty levels were available; it looks as though the harder ones will require unlocking as usual. The person who was playing when I arrived had chosen Keiji, and she obligingly pulled off a Giga Basara move which confirmed that his Basara-zu artwork and title from the manga adaptation were accurate. Keiji's default battle comrade is apparently Magoichi (though I didn't see the start, so it's possible they picked her I guess) and the level she'd chosen was Osaka: Toyotomi Hajou. I missed most of the detail in my excitement, but hearing Hideyoshi's voice rumbling through the store really got me in the mood to play. 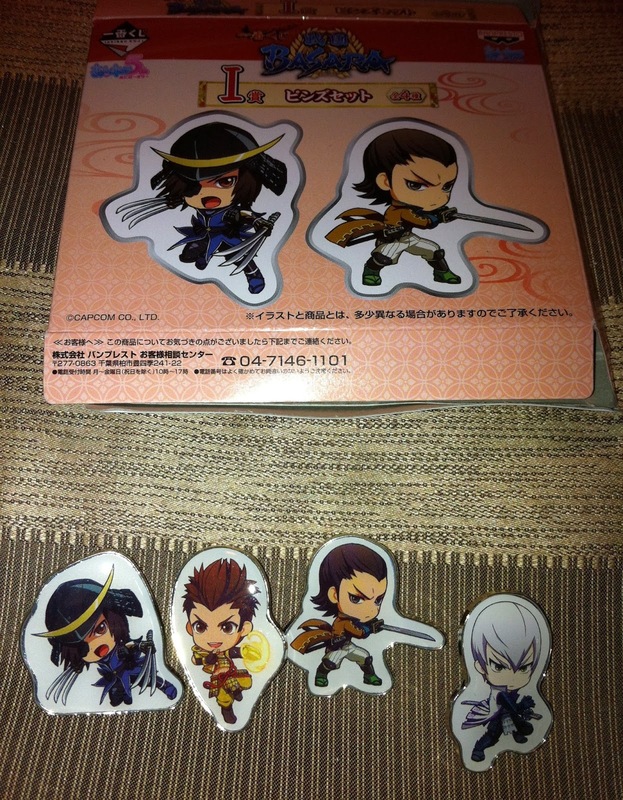 The next person in the queue deliberated for a while then picked Hideyoshi (whose default partner is Hanbee, of course). She headed out to the Kawanakajima: Takeda Lines stage and showed off Hideyoshi's gameplay beautifully, smashing Sasuke into the ground and tearing through Yukimura and Shingen. Again, I was too excited at the time to be able to recall many details closely now I'm back at my hotel. Since I wouldn't have been able to play Hideyoshi as well as the girl before me had, I decided to try one of the new characters when my turn came. Sakon was the obvious choice since I wanted to get a feel for his stance changes in action - and if I'm truly honest, it's also because I'm better with quick, simple characters and I was terrified of dying humiliatingly in front of the other fans. It would be very embarrassing to have travelled all that way to try the demo only to have my session cut short by overconfidence! The stage I chose was Oushuu: Aoba Castle. This was partly because I hadn't seen this stage in a proper gameplay video before, and partly because I'm a shameless fan of the Date forces. It's another horse race against Masamune and the source of those amazing flying scenes from the second promotional video. While I didn't do too well against Masamune on horseback - the twisty map is quite disorientating when you're against the clock - dismounting to beat up the enemy formations and bases was as deliriously fun as ever. Sakon is very quick but without feeling quite as frenetic as Mitsunari or Kotarou; he'll be a character worth coming back to once the real game is in my hands and I can try him out at a higher level. The game controls felt very solid, even if the decision to shuffle commands around to put the battle comrade controls within easy reach will take some getting used to. The graphics looked crisper than ever and the motion felt more fluid somehow; it's most noticeable when you change between high and low ground on stages with mixed terrain. Taking bases is much improved by the changes they've made to make it easier to hit the camp commanders. 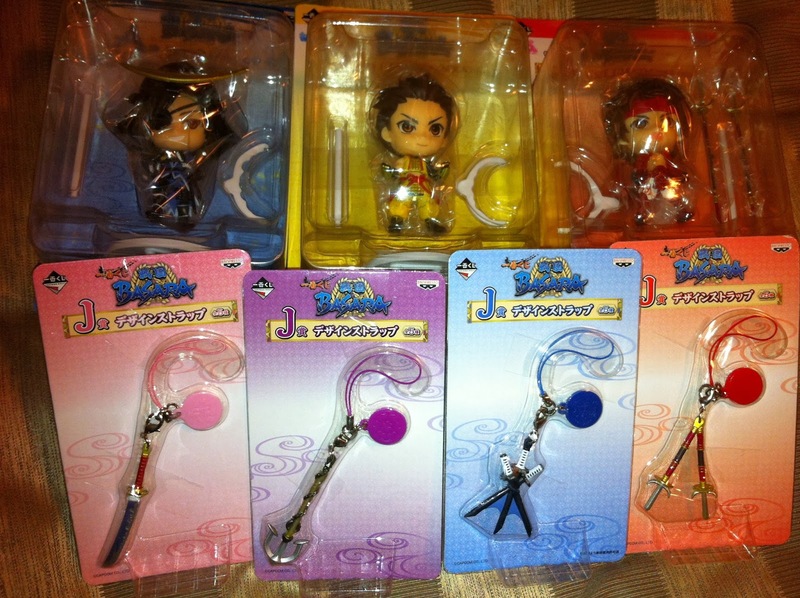 Some of these impressions might have been down to Sakon's light, acrobatic movements. It wasn't long before I'd kicked and slashed my way through Kojuurou and Masamune, bringing my time with the game to a close until next week. The person after me in the queue cheekily carried on from where I left off, picking the Ootomo Xavi Land theme park stage and convulsing with laughter every time Sourin or Muneshige did anything. The reels at the top of the screen ended up on Waltz, Fight and something I don't quite remember - Fantastic? 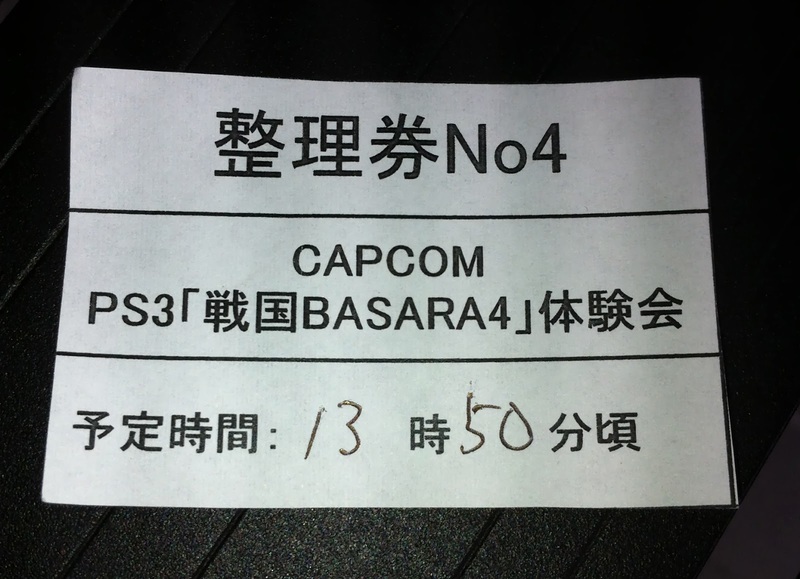 After each person was finished, one of the Capcom employees handed them a written survey to complete. The questions were quite simple, asking about the consoles you owned and planned to buy, your favourite platform and which character you liked most (Kojuurou, obviously). You had to say which of the older games you'd played, too, and what you thought of the demo. The representative was very friendly and kept chatting to me about what I thought about the game. I said that I loved it and we were going to play it back home in the UK - then lamented that my partner couldn't read Japanese well so it was problematic being a fan of the series. Every bit of feedback counts, right? 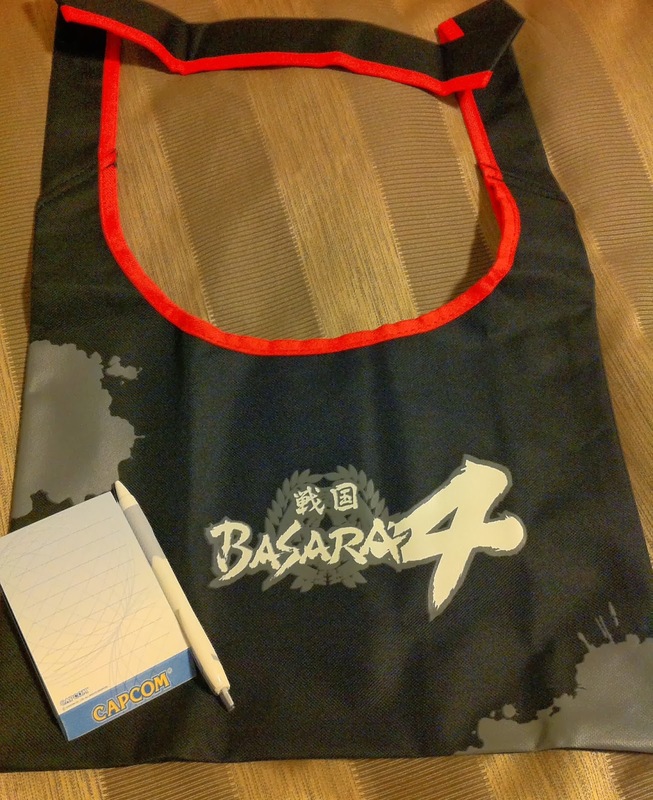 People who completed the survey were given a selection of rewards: a Sengoku Basara 4 bag, a Capcom notepad and a pen. Not bad! It's a shame that there weren't more people at the event. Every single person there besides one of the Capcom staff members was female and nobody else had brought friends, so it was a very quiet session. The other gamers were smiling just as widely as I was when their turns came. Of course, one reason for the poor attendance was probably that another event started today and the brand new Ichiban Kuji lottery has been attracting large queues of fans from the moment stores opened this morning. 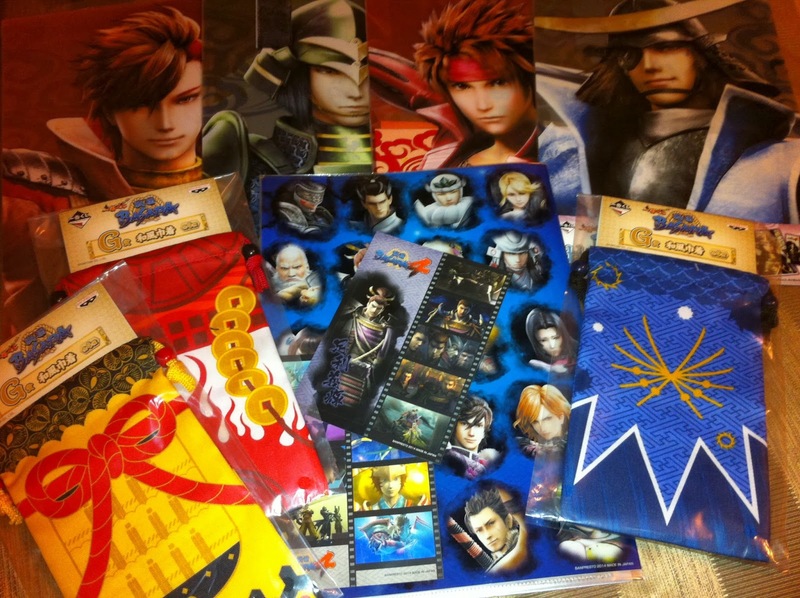 Some people might be planning to queue up for a demo at tomorrow's Basara Matsuri event as well! It's the weekend so there isn't too much news to report other than this. There'll be a lot more tomorrow, and until then you can check out this Famitsu report from the opening of the Oedo Onsen Monogatari tie-in event for some amusing pictures (including KobaP modelling some of the merchandise).